Crystal Palace forward Wilfried Zaha has been handed an additional one-match ban following his reaction to referee Andre Marriner's decision to send him off against Southampton last month. The Ivory Coast international sarcastically applauded Marriner after he was booked for an altercation with Southampton's James Ward-Prowse, which earned him a second yellow card almost immediately. 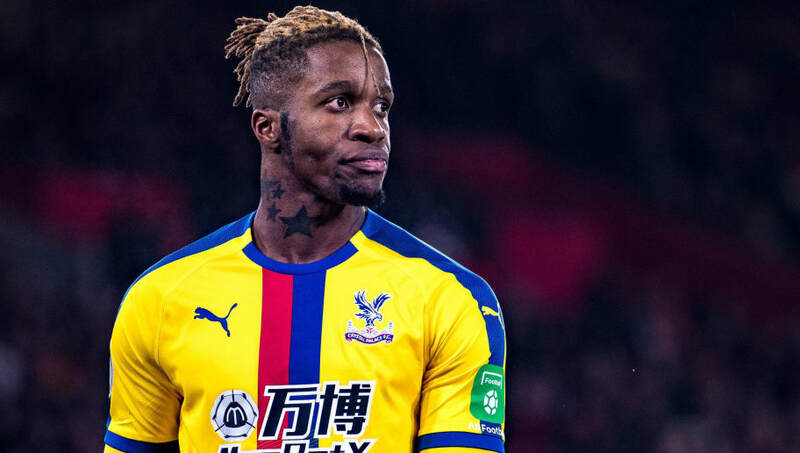 Zaha continued after the red card was shown and he was later charged with improper conduct by the footballing authorities. Crystal Palace confirmed on their official website that an Independent Regulatory Commission on Wednesday came to the conclusion that Zaha should be banned for an extra game as well as receive a £10,000 fine. Zaha's ban will not come into effect until after he considers his right of appeal. That means that he could still be in contention to feature for Crystal Palace when they face West Ham this weekend. The 26-year-old was forced to sit out of their recent 2-0 win over Fulham due to his suspension, and now Zaha will have to miss either Saturday's game or their FA Cup fifth-round match against Doncaster next weekend. Zaha has once again been Crystal Palace's talisman this season and he will play a vital role in their Premier League survival. He's already been involved in nine goals - over a third of the club's total tally - this season. January signing Michy Batshuayi could be in line to start his first game for the club against West Ham this weekend if Zaha accepts his additional one-match ban. The on-loan Chelsea striker came off the bench last week to make his debut, replacing Jordan Ayew, but was unable to get on the scoresheet in the last few minutes of the match at Selhurst Park.